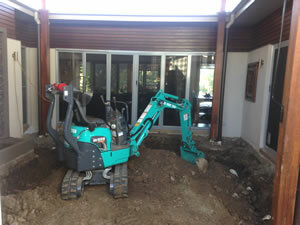 Active Mini Diggers has over 20 years experience in earthworks, landscaping and construction. 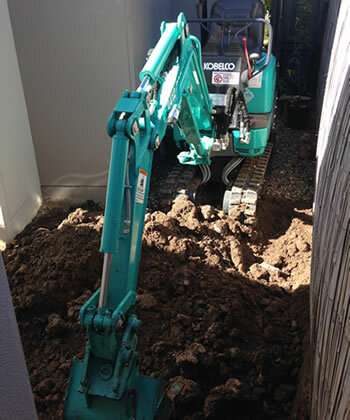 Mini excavators can gain access through entry points as narrow as 700mm, allowing entry through a standard doorway, so we can go where others can't, providing a wide variety of work that can be performed in areas that previously had to be done by hand. 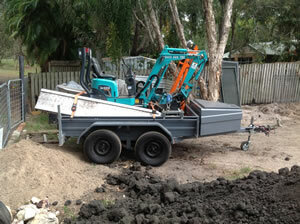 Active Mini Diggers also has a tandem hydraulic tipping trailer fitted with 750kg crane for pickup and delivery of soils, equipment and rubbish removal. Active Mini Diggers specialise in landscaping, playgrounds, paths, slab preps, footings, driveways, retaining walls, drainage, all forms of earthworks and yard clearing.